T-Mobile CEO John Legere and Sprint executive chairman Marcelo Claure will be pitching their companies‘ $26 billion merger before Congress this week, hoping to ease lawmaker’s concerns about wireless competition while pushing the tie-up as a key part of the nation’s 5G quest. Why it matters: It’s a key test for a deal that would reduce the number of major national wireless carriers from four to three. Driving the news: The fierce lobbying battle over the $26 billion deal has divided Democrats. Rep. Anna Eshoo (D-Calif.) and colleagues from both parties circulated a letter supporting the deal. Yes, but: The deal doesn’t need congressional sign off, but legislators can put pressure on the Federal Communications Commission and the Department of Justice to block it. The companies have aggressively lobbied both agencies. The deal has been approved by regulators in New York, and it still requires approval in California. What to watch: How seriously the FCC and the DOJ take T-Mobile’s argument the deal will help it bolster its 5G networks to compete with AT&T and Verizon, the linchpin of a major push on the part of the company to get the merger through. T-Mobile and Sprint also pledged last week not to raise rates for three years, an attempt to mitigate concerns that the merger will lead to higher prices. The companies are also pledging to open several new service centers that they say would each create 1,000 jobs. Their lobbying has been up close and personal. 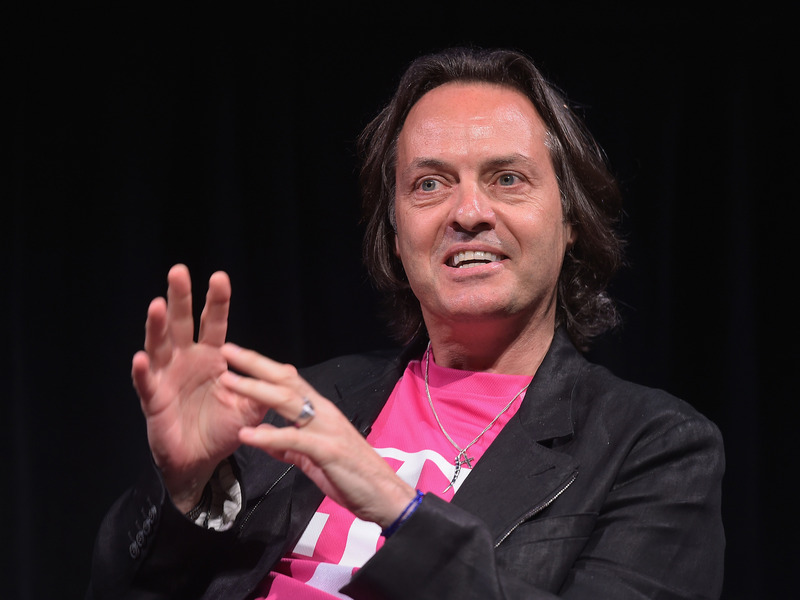 Legere has regularly tweeted from his trips to Washington, and the company’s executives have stayed on multiple occasions at the Trump International Hotel, according to the Washington Post. The coalition opposed to the deal also met with staffers for all five FCC members this past week, according to agency filings. The big picture: Regulators have been tasked with weighing a series of major mergers in telecom and tech in recent years, including AT&T’s blockbuster acquisition of Time Warner, that stand to transform how Americans get information and entertainment. The FCC and DOJ consider deals in parallel. The former looks at whether a merger is in the public interest, while the latter weighs the impact on competition. T-Mobile and Sprint have said they think the deal will close „no later than the first half“ of this year. The government shutdown slowed down the regulatory review process. History lesson: AT&T’s effort to buy T-Mobile was blocked in 2011; Sprint and T-Mobile subsequently discussed a deal during the Obama administration but never moved forward because regulators made clear they would fight any combination among the Big 4 carriers. The bottom line: The deal’s opponents are fighting an uphill battle against a generally business-friendly administration, but the hearings this week let them air their concerns and turn up the heat.